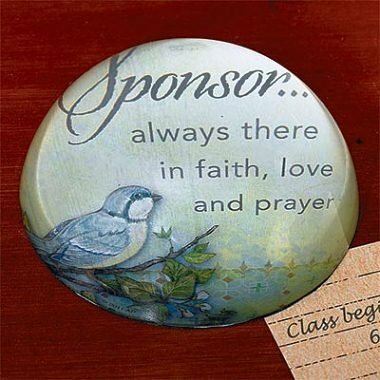 Sponsors...Please click HERE to view and print out the Confirmation Sponsor Form. Choosing someone to walk the journey of Confirmation with the candidate is done before the beginning of the second year. You can always make an appointment with the Confirmation Leader to discuss any questions or concerns about choosing a sponsor. The Archdiocese of Los Angeles specifies that a sponsor for a Confirmation candidate be sufficiently mature and over the age of 16, a fully initiated Catholic, and living a life of faith which benefits the role to be undertaken. What is a Sponsor’s Role? MODEL of how a person of faith lives in today’s world as they seek to understand the Lord and the people of God. LEARNER who is interested in their own growth as they walk the faith journey with the candidate. MENTOR, by introducing the candidate to parish organizations in order to meet the community; as well as during the Sunday liturgy and at other special church ceremonies. COMPANION who will continue after Confirmation to walk the faith journey with the candidate and invite them into fuller participation in parish life and service. ATTEND liturgical rites and specific meetings with the candidate. PRAY liturgical rites and specific meetings with the candidate. And in Jesus whom you sent. Look kindly on all candidates as they listen to your voice. And bring to fulfillment the good work you have begun in them. Make me an instrument of your love. And be patient with what I do not understand. And help me to pass it on by good example. And with those who are weak, let me be a pillar of strength. As I move with my candidate towards Your call.